Making the cut? Corner Coffee, Cardiff City Centre. The title (cryptic as ever from me) refers to my coffee preference, at the moment, being a cortado. 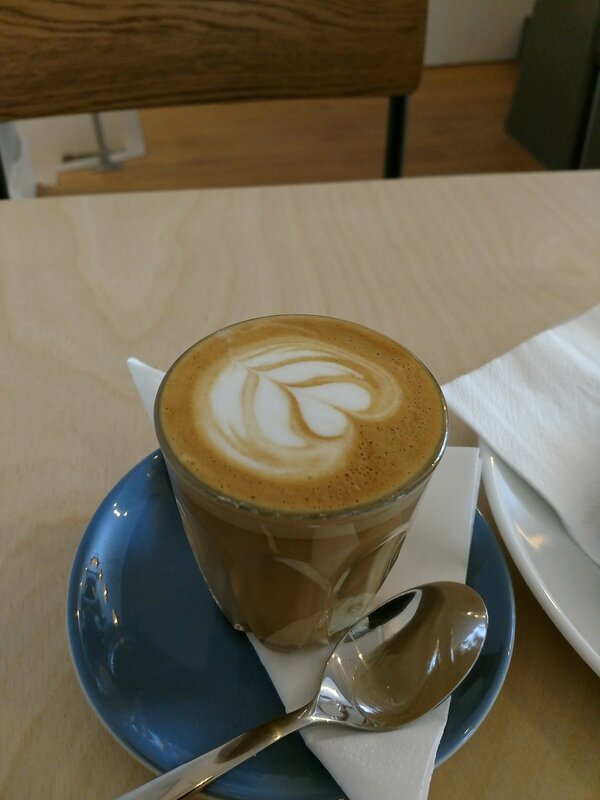 This is a coffee where an espresso is “cut” (on a 50:50 basis) with hot milk (the cortado name coming from the Spanish verb “cortar” – meaning to cut). This brings me to one of the newest city centre coffee shops in Cardiff in the form of Corner Coffee, an independent on the High Street towards the castle. 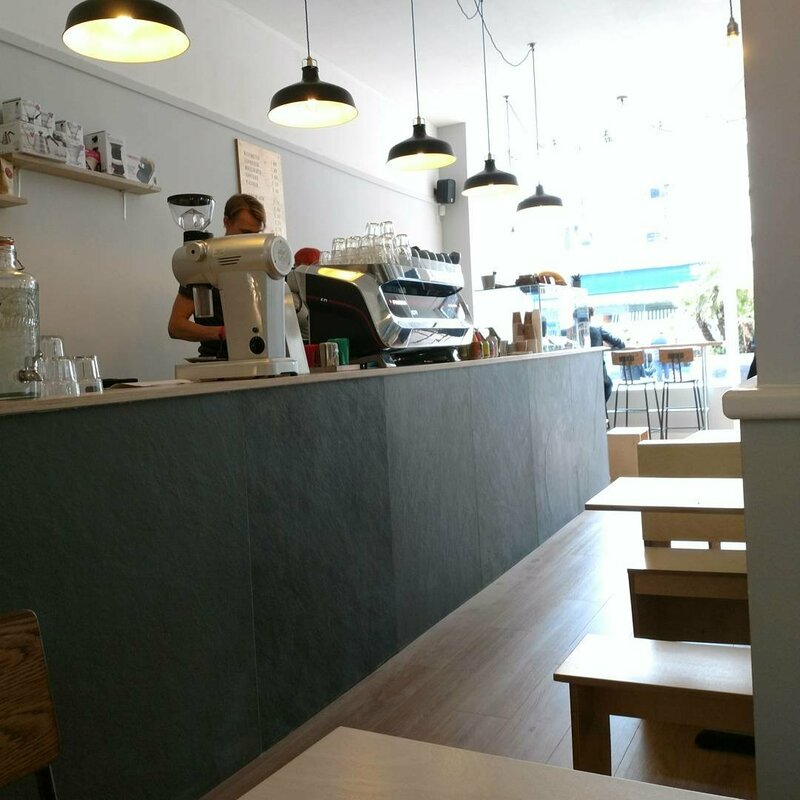 Such is the proliferation of coffee shops in Cardiff, between you starting reading this post and finishing/getting bored half way through it, 5 more will have probably popped up. These days coffee shops are truly becoming the new local. The interior is quite mininalist, which is fine in the summer (not that we had one this year) but a bit stark rather than cosy for the winter. Having said that it seems to be Scandinavian in style and if anyone knows about harsh winters it is them, but to me it is not really hygge. What, however, I know about interior design could be written (with oodles of space to spare) on the back of a postage stamp so it isn’t advisable to take notice of anything I have to say on the subject. It is fair (I think) to say that coffee, as opposed to food, is the focus of this place. 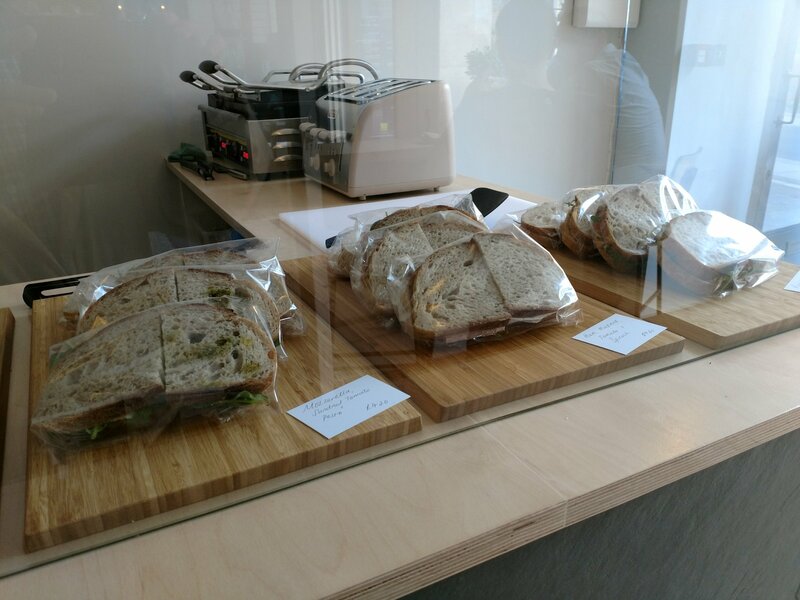 They do, however, do food with the offering consisting of sarnies (with the option of them being toasted). and you don’t get the benefit of eating in (nor does it look as nice). 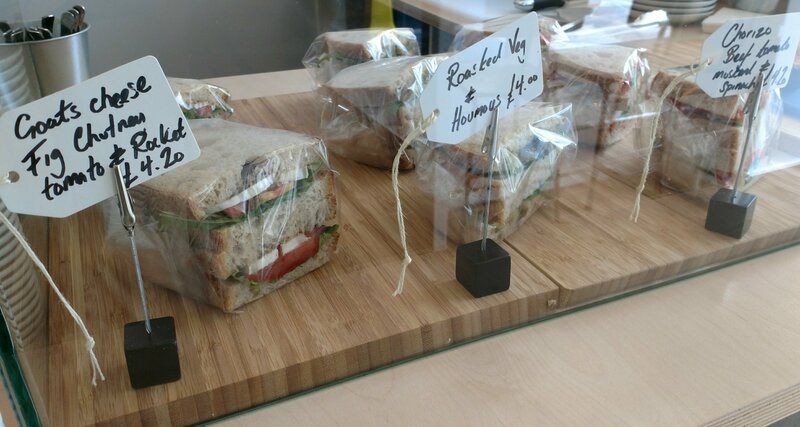 The fillings, such as goats cheese, fig chutney, tomato rocket, do sound interesting and a cut above the ham and cheese/prawn norm. 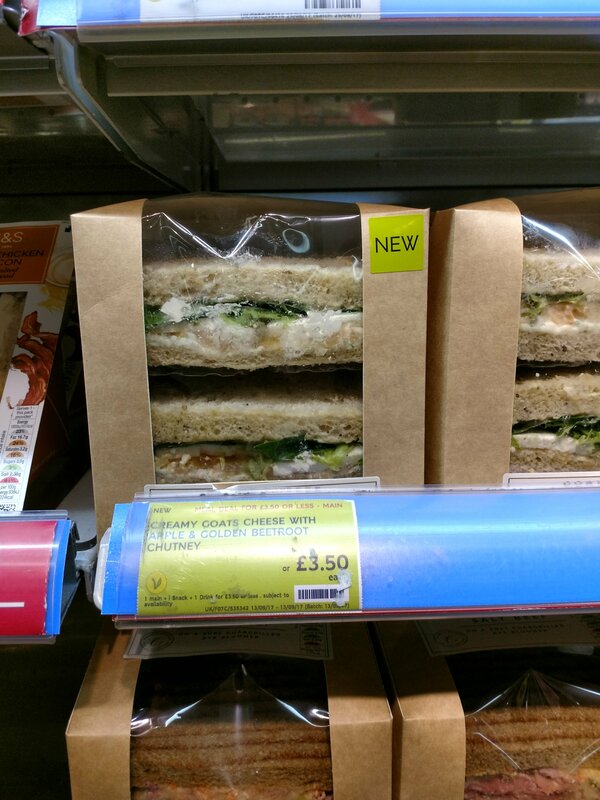 £4.20 for the goat’s cheese one I had, whilst certainly not cheap, was actually (when put in context) not that pricey (perhaps my initial thought of it as pricey is an indication of me becoming increasingly miserly in my old age, as Mrs. SF will testify). 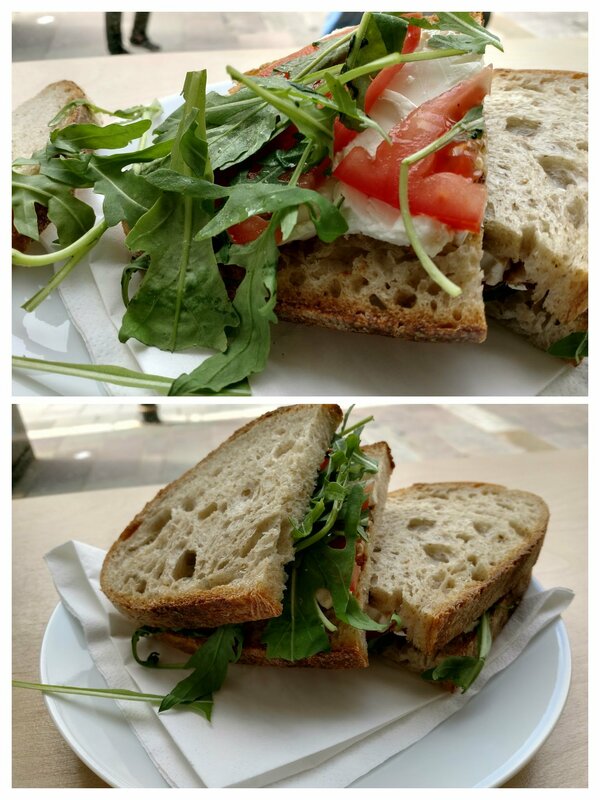 It was a nice sarnie – very lightly toasted (more warmed up rather than fully toasted really) with good sourdough providing a pleasing chew (expect nothing less from Pettigrew who supply, as I understand it, the bread), some good quality goat’s cheese and a very flavoursome fig chutney. A bit more generousity with filling would have been my preference though. 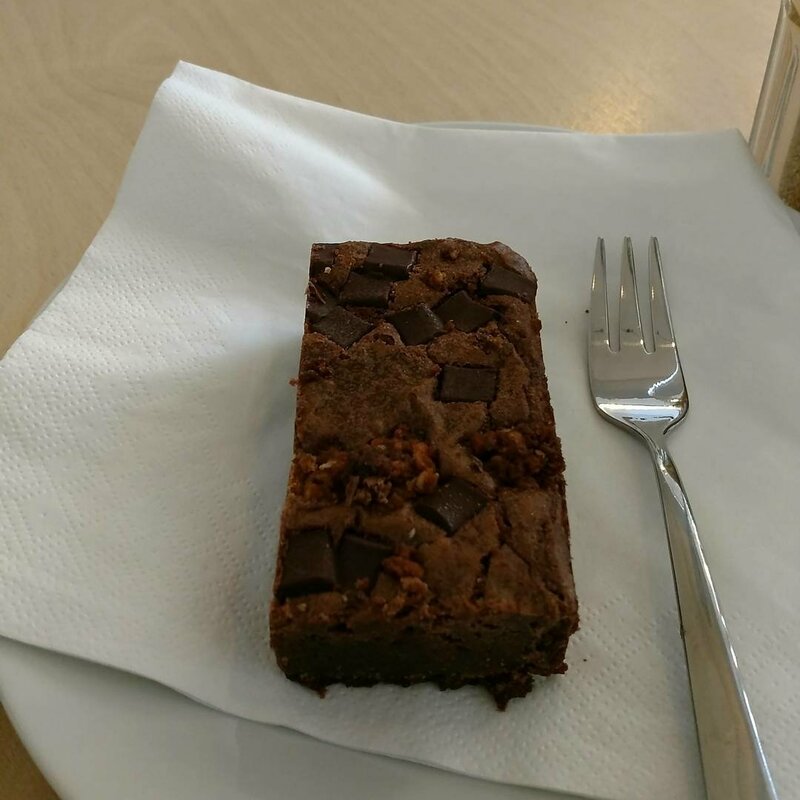 I also fancied something sweet (unusual for me) and the brownie on display looked a good option (£2.20). 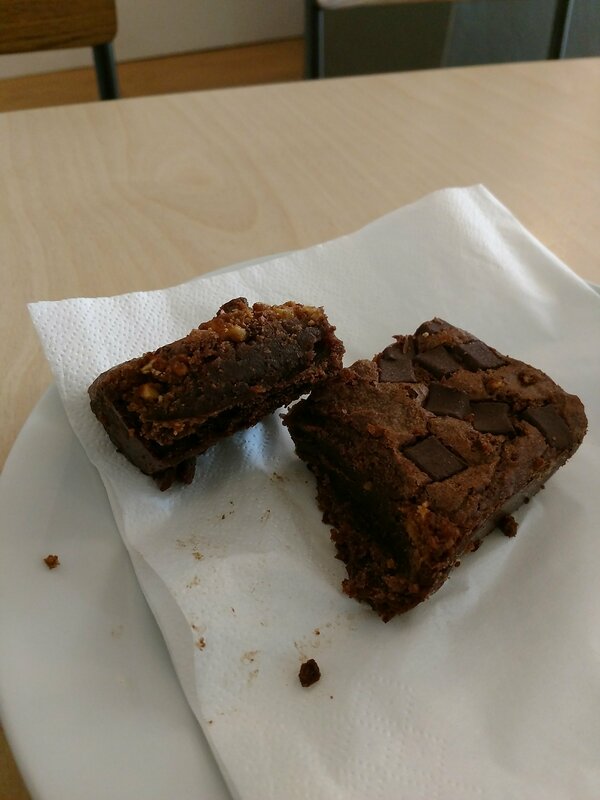 This was a good brownie (referred to here as a cocoa cluster). It had a decent exterior crust, which gave way to a yielding rich chocolatey interior (if it had been warmed up – an idea – I think it would have gone wonderfully gooey). 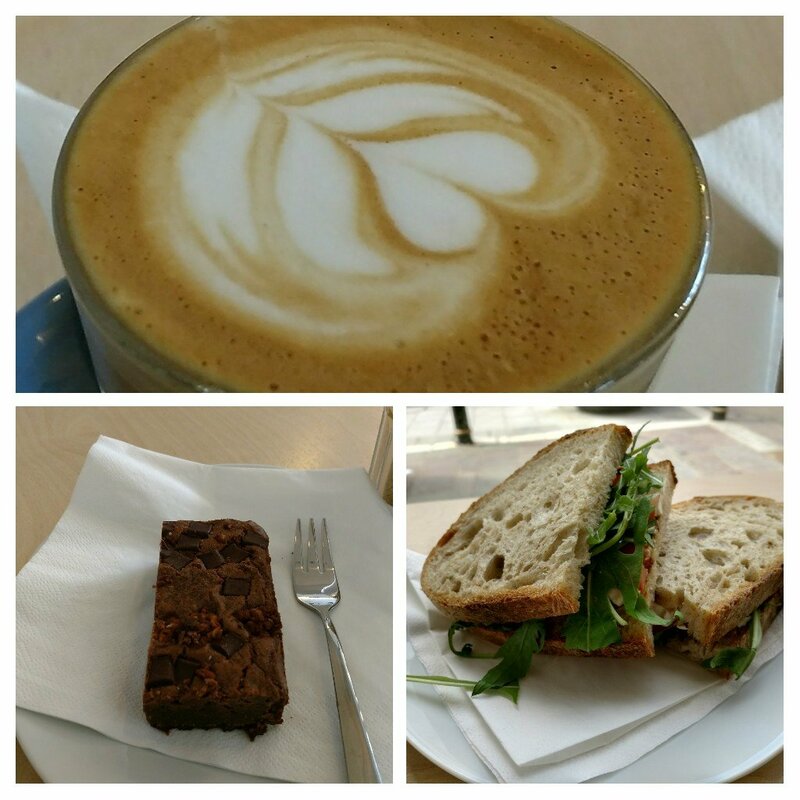 including a cortado (£2.20 – cheaper than the one at 200 Degrees, but a smaller size). Other hot and cold drinks (not your run of the mill sodas) are also available. Talking to one of the staff, their house blend coffee is a mix of Peruvian, Columbian, Ethiopian and Rwandan beans. They source coffee from local roasters Coaltown Coffee. Nice to see use of local business like Coaltown and Pettigrew. This made for a very pleasant cortado, with notes of sweet mocha contrasting nicely with fruity acidity. A very pleasant cup of coffee and certainly one to add to the increasing list of purveyors of a decent cup of coffee in Cardiff. They have on offer a continuingly changing roster of very interesting sounding coffees from guest roasters and for those with lactose intolerance there are lots of alternatives to cows milk available. 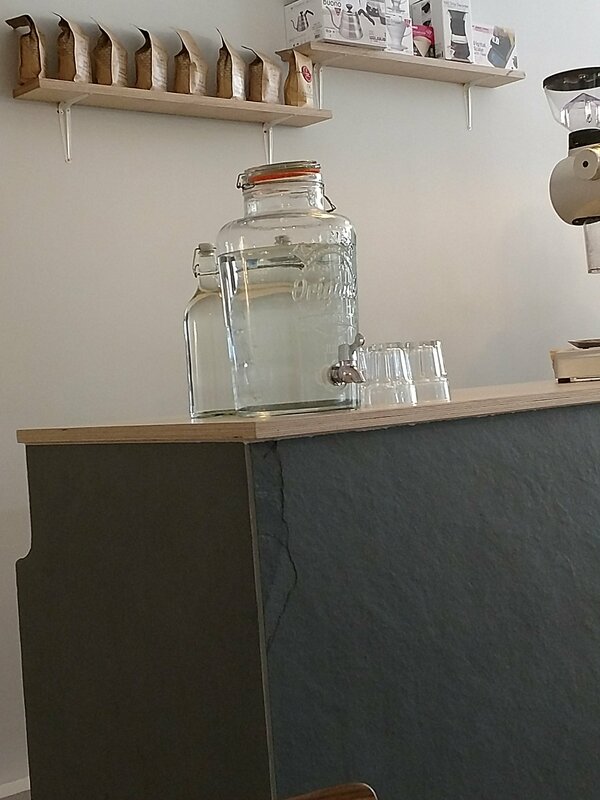 A nice touch was easily accessible tap water, so you can help yourself rather than having to ask (they bring you a first glass without being asked). Despite my initial (somewhat unfounded when looked at in the context of the competition) misgivings as to the pricing of their sarnies, I rather liked Corner Coffee. It is nice to see them using local business like Pettigrew Bakery and Coaltown Coffee. Great for the local economy to have local supply chains in place. Would I go back? Yes – very nice coffee, a decent sarnie and good cake makes for a happy me (easier said than done, in respect of this miserable old git, I can tell you). 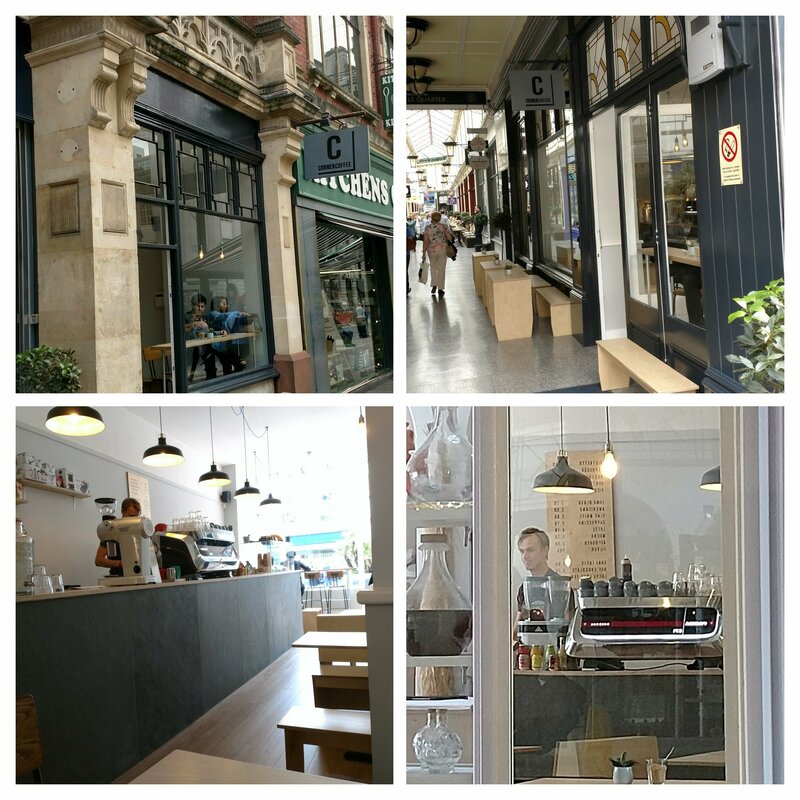 It is a very competitive market out there with Cardiff blessed with a number of quality coffee shops as well as the corporate behemoths. Corner coffee is one of the good ones and I hope it succeeds. Well worth a visit is my humble opinion. Go to the independents rather than the corporate giants as they offer a better product and put much more back into the local economy. Address: 13 High Street, Cardiff. Opening hours: Mon – Fri: 07.30 – 18.00, Sat: 08.30 – 18.00 and Sun: 10.00 – 17.00. 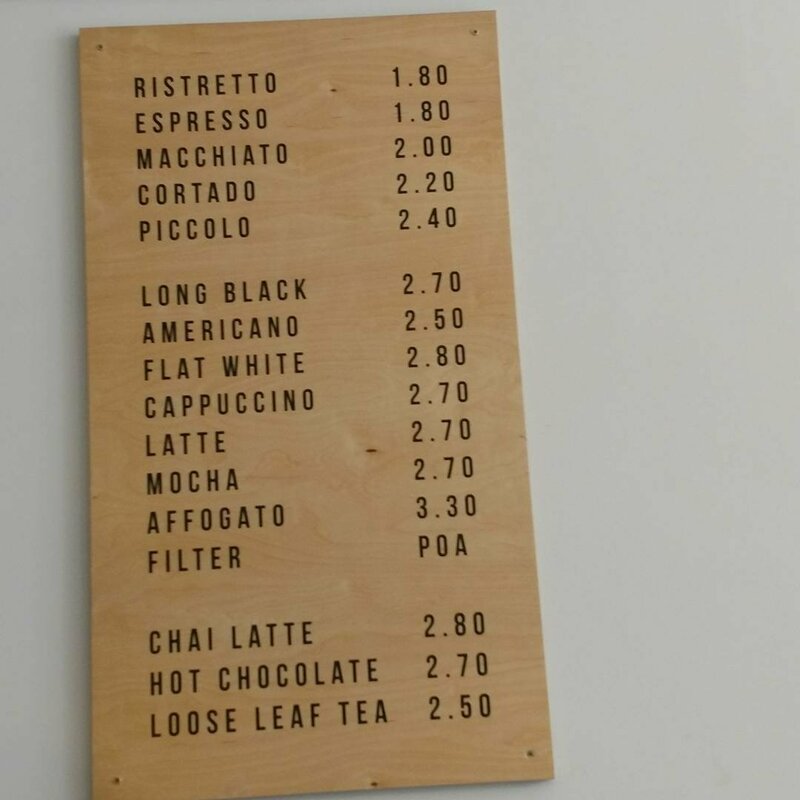 No double espresso on the list? 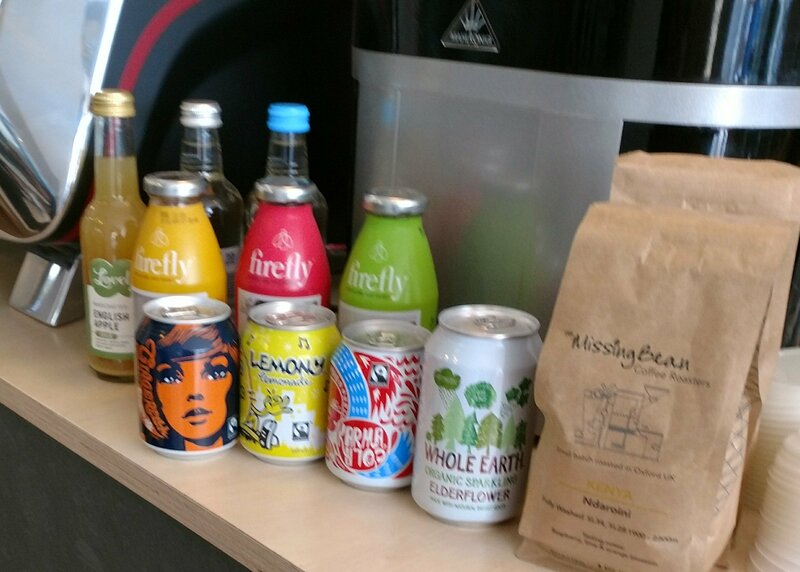 This entry was posted on Oct 15, 2017 by solicitingflavours in 200 Degrees, Barista, breakfast, cafe, cake, cheese, Coaltown Coffee, coffee, Corner Coffee, Drink, Food, Lunch, lunchtime, Non alcoholic drink, retail, Sandwich, Tea, Wales.